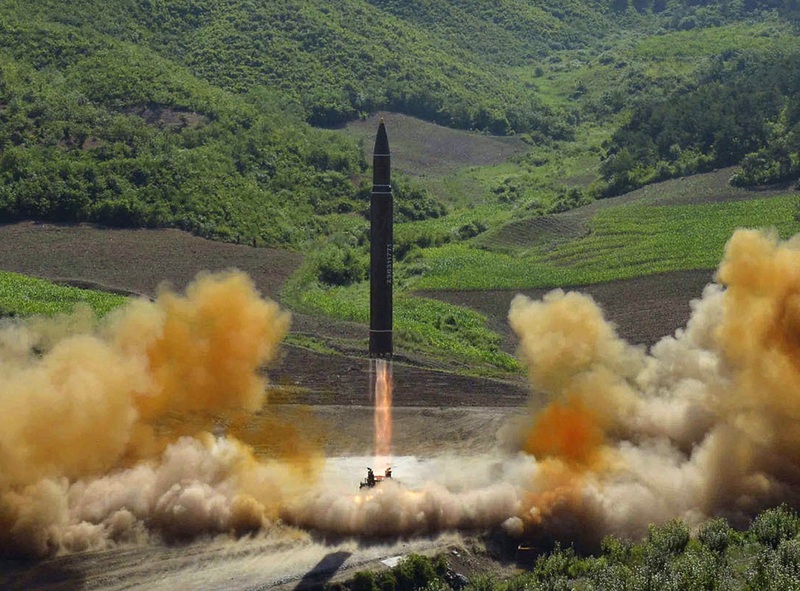 In this July 28, 2017, file photo distributed by the North Korean government on Saturday, July 29, 2017, shows what was said to be the launch of a Hwasong-14 intercontinental ballistic missile at an undisclosed location in North Korea. President Donald Trump warned North Korea that it could face "fire and fury" after a new report Tuesday said U.S. intelligence believes Pyongyang has successfully produced a nuclear warhead that can fit inside its missiles. Washington's alarm over North Korean leader Kim Jong Un's pursuit of a nuclear capability has intensified after the North conducted two tests of intercontinental ballistic missiles last month. The latest report that it has produced a miniaturized nuclear warhead would mean North Korea has passed a key threshold in becoming a full-fledged nuclear power. "North Korea had best not make any more threats to the United States. They will be met with fire and fury like the world has never seen," Trump said during a briefing on opioid addiction at his golf course in Bedminster, New Jersey. A report in The Washington Post on Tuesday went further. The newspaper said U.S. intelligence officials have assessed that a decade after North Korea's first nuclear test explosion, Pyongyang has produced nuclear weapons for ballistic missile delivery, including by intercontinental missiles — the type capable of reaching the continental U.S. The Post story, citing unnamed U.S. intelligence officials, said the confidential analysis was completed last month by the U.S. Defense Intelligence Agency. The U.S. also calculated last month that North Korea has up to 60 nuclear weapons, the Post said, more than double most assessments by independent experts. Officials at the agency would not comment Tuesday on the report. The Office of the Director of National Intelligence has not commented. The U.N. Security Council this weekend slapped its toughest sanctions yet on North Korea over its latest test of a ballistic missile that could be used to deliver a nuclear weapon. 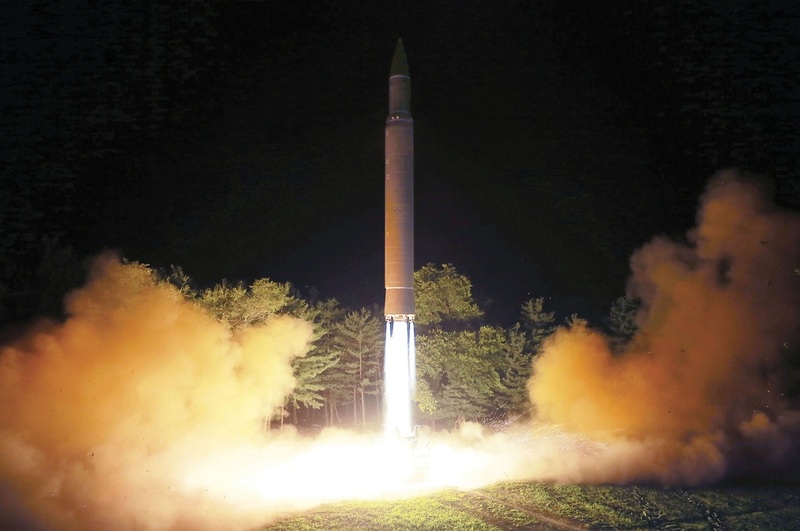 Despite the rapid tempo of these tests, uncertainty has lingered over the isolated nation's ability to couple such a missile with a nuclear device. Those uncertainties appear to be receding.